The Massachusetts of Board Registration in Pharmacy regulates the practice of pharmacy, including the registration of technicians, within the state. If you’re desirous of practicing as a pharmacy technician, you must obtain national certification through the PTCB or other approved certifying agency to register with the Board. 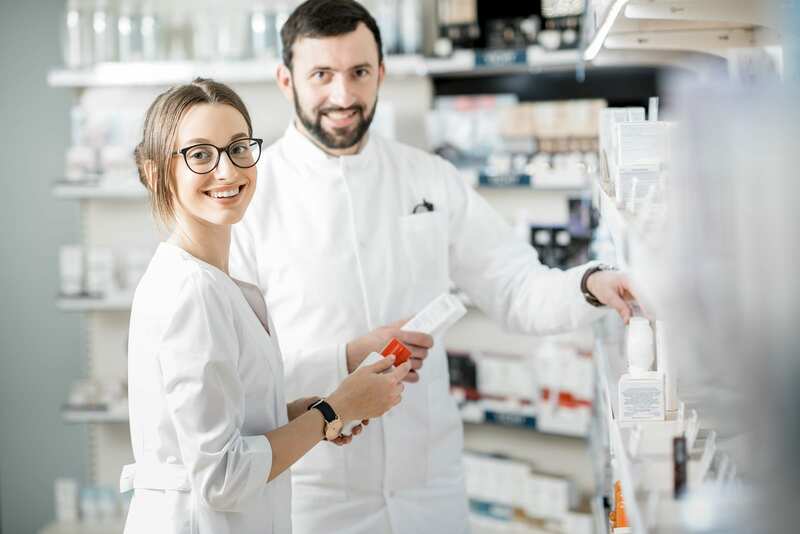 Certification, once optional, has become increasingly important to employers and governing bodies as pharmacy technicians take on increasingly important roles and responsibilities. To be eligible for registration in Massachusetts, you must complete an ASHP-accredited pharmacy technician training course or a program approved by the Board that delivers at least 120 hours of theory and at least 120 hours of practical instruction. You must also complete at least 500 hours of practice in a pharmacy setting. After passing the National PTCB exam, you will be eligible for registration. 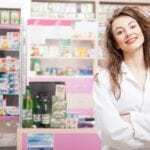 Pharmacy technicians work in a variety of pharmacy settings. Their roles and responsibilities are diverse and depend on the practice location. General duties include receiving and confirming prescription orders, which includes e-prescriptions, interacting with customers, answering customer queries, managing inventory, administrative functions related to the daily operation of the pharmacy, and processing payments. A critical duty that a pharmacy technician performs is the preparation and filling of prescriptions. Technicians must have the ability to prepare medications, including creams and ointments and intravenous products such as Total Parenteral Nutrition. The preparation of these products requires skill, accuracy, and attentiveness to every detail to ensure patient safety and recovery. Roxbury Community College’s pharmacy technician program includes 120 hours of classroom lectures, skills lab, and pharmacy calculation followed by 120 hours of pharmacy internship at CVS pharmacy. The comprehensive program includes all the training adults need to assume an entry-level role in a community or institutional pharmacy. 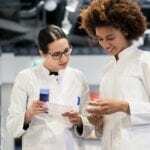 Students learn pharmacology, pharmacy terminology, inventory management, routes and formulations, drug regulation, state and federal pharmacy regulation, and the history of medicine. Other topics include pharmacy calculations, medication dispensing, physiology and pathophysiology, drug interactions, and liability. Graduates will be prepared to sit the national PTCB exam to register as Pharmacy Technicians. Classes meet Monday through Thursday from 6:00 pm to 9:30 pm for approximately 2 months. Tuition for the program is $1,800 and includes books, externship, lab fees, and IPBC exam fees. Massasoit Community College’s Board-approved pharmacy technician program delivers 120 hours of pharmacy technician training to prepare adults for a career in the pharmacy industry. Students learn the role and duties of the pharmacy technician and acquire the skills to safely and efficiently perform those duties. The program is delivered in two 60-hour sessions. It is designed for adults with no experience in healthcare, but can also benefit health care professionals who want to reinforce their existing skills. Students learn pharmacology, law and regulations governing pharmacy practice, pharmacy terminology, pharmacy calculations, basic physiology, drug interactions, community and institutional pharmacy operations, and billing. Students who successfully complete the program will receive a Pharmacy Technician Certificate and will be prepared for success on the PTCB national exam. Pharmacy Technician I begins in the fall semester and Pharmacy Technician II in the spring semester. The courses must be taken in sequential order. The program tuition does not include the State Registration application fee or the fee for PTCB certification. Bunker Hill Community College employs classroom lectures and practical training to deliver the content of the pharmacy technician program. Students acquire the knowledge and skills to work under the supervision of a licensed pharmacist in various pharmacy settings. Course topics include record keeping, inventory control, dispensing medications, billing and insurance, pharmacy terminology, pharmacy law, pharmacy calculations, patient profile, packaging and labeling medications, and drug interactions. In addition to the classroom lectures and demonstrations, students will participate in a150-hour pharmacy internship to gain hands-on experience in a real-world environment and reinforce the skills learned in the classroom. Upon completion of the program’s 16 credits, students will be prepared for success on the national PTCB exam. The program is designed to be completed in one semester. Undergo a Criminal Offender Record Information (CORI) check for placement in the pharmacy internship. Tuition for the program is $2,816. Books and supplies cost an additional $1,200. The Pharmacy Technician Certificate program at Quinsigamond Community College provides students with the knowledge, skills, and abilities to become a certified pharmacy technician. Graduates will be prepared to work in a community pharmacy, hospital pharmacy, home care, and long-term care settings. In addition to the classroom requires, students will also participate in a 135-hour internship at a local pharmacy. The goal of the program is for students to have an understanding of the laws regarding pharmacy practice, refine their communication skills, and know drug names and classification. Course topics include pharmacy calculations, abbreviations, pharmacy terminology, dispensing medications, dosage forms, communication, billing and insurance, and drug interactions. Students have the option to complete the program at QCC’s Healthcare and Workforce Development Center. Up to 50 percent of the course may be completed online. Students must be prepared to travel the internship sites. Tuition for the program is $415 and does not include expenses for uniforms, liability insurance, course materials, and clinical parking fees.